Older Americans Month is an honored tradition that gives the public a chance to show their appreciation for elderly ones in their community. Held each May, Older Americans Months highlights the significant contributions made by thousands of seniors across the United States. The theme for May 2013 is “Unleash the Power of Age!” and encourages everyone to get involved in honoring our nation’s seniors. One way families and friends can support elderly loved ones is by ensuring each of them receive quality care as they age. More than 90 percent of seniors prefer home care over any other setting. Helping seniors “age in place” at home with a reliable home care system or home care software is an excellent way to show the seniors in your life that you care. Here are three other ideas for getting involved in Older Americans Month. 1. Host a community event to spotlight valued seniors in your area. Each community has a variety of interesting seniors with fascinating stories to tell. Host a “speaker series” where former professors and other experts can share their knowledge and experiences with others in the community. Many areas also arrange community-wide sports days, arts and crafts festivals, or other activities that engage seniors in some way. 2. Volunteer for a worthy cause. Volunteering is a fun way to get actively involved with the seniors in your community. Not only can you take part in activities that benefit older ones (visiting nursing homes or older neighbors), you can also help seniors become involved in volunteer programs. Whether it is reading to children or collecting food for the homeless, you can bring a senior along and help him feel like an active participant. For caregivers who use ClearCare’s home care system and home care software, specific tasks and appointments can be set for volunteer activities. 3. Grow a garden. In most of the country, May means warm weather. Take advantage of the sunshine and bring seniors outdoors. Community garden projects provide great opportunities for young and old alike to get fresh air and exercise – all while growing healthy produce for fresh and tasty meals. For homebound seniors, caregivers can bring a bit of the outside in, with potted plants and herbs. ClearCare’s home care system and home care software can be used to set reminders for daily watering. 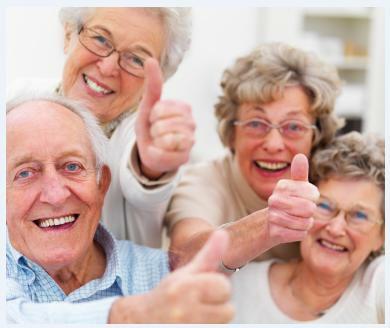 While it’s true that every month should mean quality and enjoyable life for seniors, designating a specific “Older Americans Month” gives all of us the impetus to make extra efforts in this regard. At ClearCare, our developers have worked diligently to create a home care system that helps keep more seniors safe and comfortable in their homes as they age. Reliable home care software allows seniors to maintain their independence while receiving the best personal care possible. If you have an older loved one who needs assistance with daily living, call ClearCare today and ask how our home care system and home care software can benefit them. What ways do you plan on honoring seniors this May? Drop us a note and let us know!